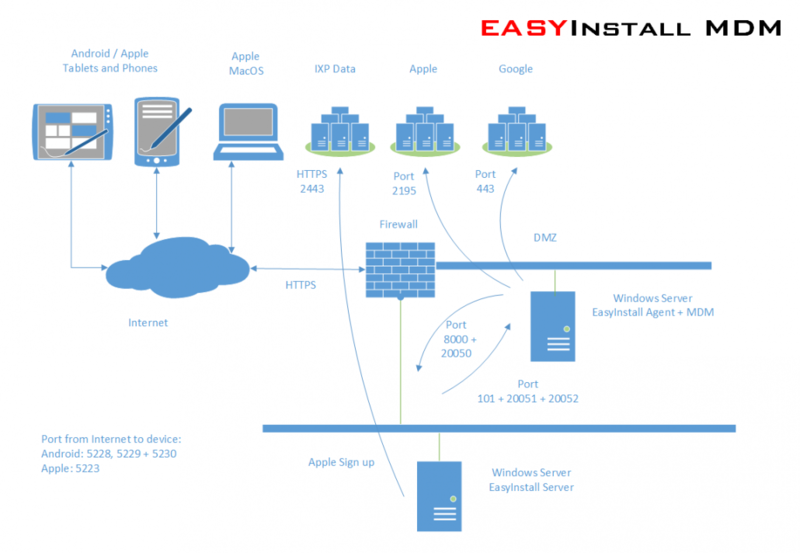 EasyInstall is a multi-vendor system management solution and today supports Microsoft Windows, Google Android, Apple iOS and MacOS clients. It’s as easy to use EasyInstall MDM as using EasyInstall for Windows computers. All Android and Apple devices appear in the same way as Windows machines in the EasyInstall Administrator console. Simply create packages from predefined package templates to the Android or Apple devices, after which package assignment is done in the same way as to Windows machines. Apple devices can be firmly attached to EasyInstall MDM using DEP (Apple Deployment Enrollment Program) ‘Corporate Own’ or loosely associated with ‘Bring Your Own Device’ where the user himself has the option to delete his MDM profile. Existing Android and Apple devices can be enrolled via an MDM profile via the embedded EasyInstall MDM web site. EasyInstall can send an email to users with a link to the enrollment profile, allowing users to enroll their device. By enrollment, apps can be installed automatically, creating mail account, WiFi and vpn profile, etc. There is also the ability to connect Android / Apple devices via a QR code. All data is sent encrypted and signed over a secure SSL / HTTPS connection to the devices. Data can only be decrypted by the device where the content is intended. You have full control over all Android / Apple devices, whether these devices are located in the company or outside the company. If a user on an Apple device (which is not DEP attached) removes the EasyInstall MDM profile, all installed company-owned content (Apps, Books, Profiles, etc.) will also automatically be removed from the device. – Android 5.1 and higher. – Apple iOS 7 and higher. – Apple MacOS 10.7 and higher. – Microsoft Windows XP and higher. – Install and uninstall of Google Play apps. – Install of Enterprise apk apps. – Install and uninstall of profiles, ie. security settings, Exchange mail, WiFi and APN. – Secure communication, encrypted and signed content. – Lock and Erase Device. – Popup messages and alarm sound. – Over-the Air (OTA) enrollment. – Agent installation direct from Google Play. *) Samsung Android phones and tablets have a built-in an MDM API set, giving Samsung a system management advantage over other Android devices, meaning EasyInstall can offer more MDM features associated with Samsung over other Android devices. 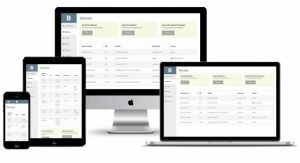 – iPhone, iPad, iPod and Mac computers. – Hardware and software inventory informations. – Install and uninstall of Apple App Store apps incl. VPP. – Install and uninstall of Enterprise iOS Apps and MacOS PKG packages. – Join Active Directory Domain (MacOS). – App Store Restrictions (MacOS). – iOS Single App mode. – iOS Lock and Erase Device. – iOS Restart and Shutdown. – iOS Disable OS Updates. – Install and and uninstall of profiles, ie. security settings, Exchange mail, WiFi, VPN and APN. – Apple Business Manager (ABM). – Apple School Manager (ASM) in progress. IXP Data is constantly working to expand and improve both Windows, Android and Apple functionality. If you have EasyInstall software maintenance, it is free to update to EasyInstall MDM version 6.0. You only need to purchase additional licenses for the Apple devices you want to connect to EasyInstall. EasyInstall MDM is not a separate product, but our latest EasyInstall version 6.0 now also supports all Android / Apple devices. Contact easyinstall@ixpdata.com for new EasyInstall version 6 license key. EasyInstall MDM can be established on a Windows server located in DMZ or established directly on the EasyInstall server.